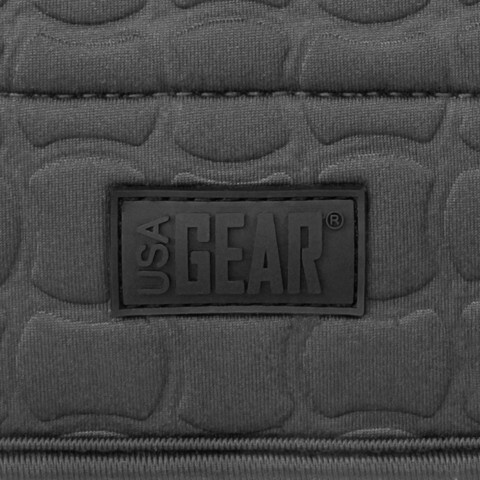 The FlexARMOR X features reinforced impact-resistant Neoprene that helps absorb shock from dings and bumps, while also withstanding the abuse from daily wear-and-tear. 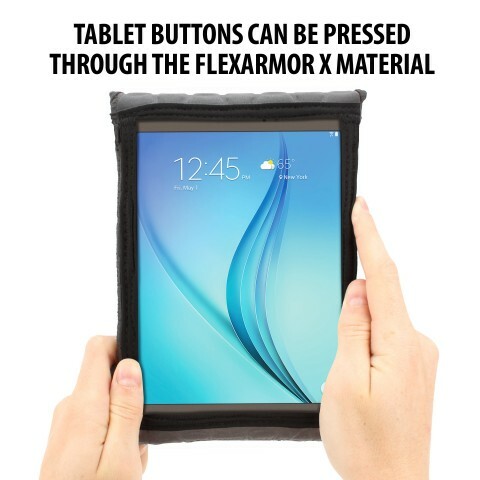 The rugged yet flexible material of the FlexARMOR X fits like a glove, snugly conforming to your gadget's shape while the padded texture cushions your device like bubble wrap. 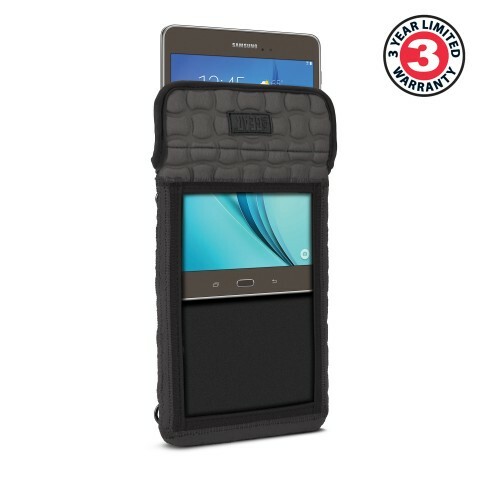 The Kid friendly design of this case features a fully-capacitive screen protector that allows your child to use the tablet without having to worry about it being damaged. 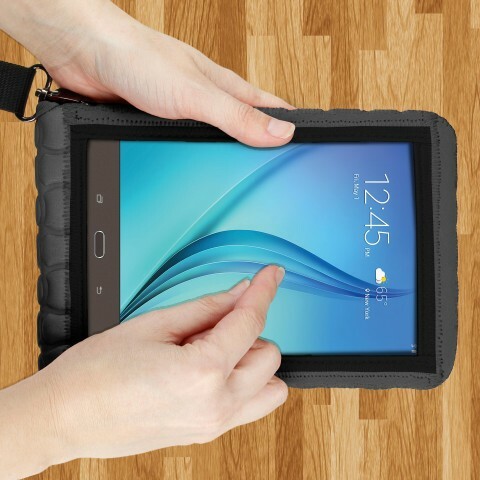 The screen Protector is perfect for protecting your tablet from dust, fingerprints, spills and more! 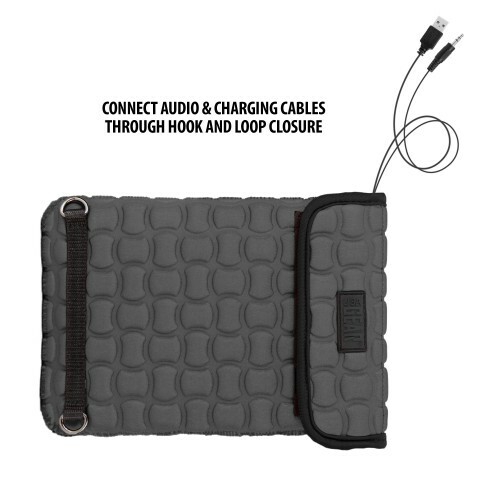 Travel Friendly Design - In Car Display! 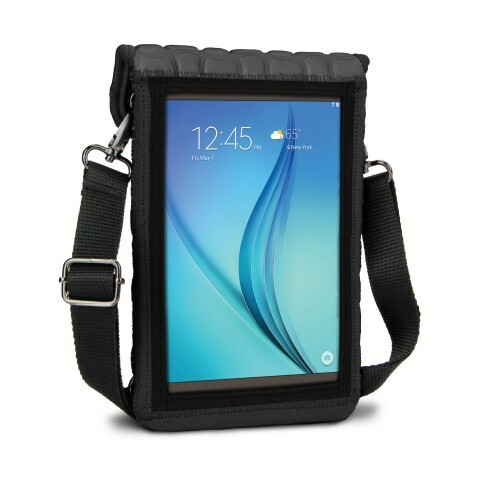 The detachable shoulder strap allows you to carry your tablet on your shoulder, as a sling, or around your neck. 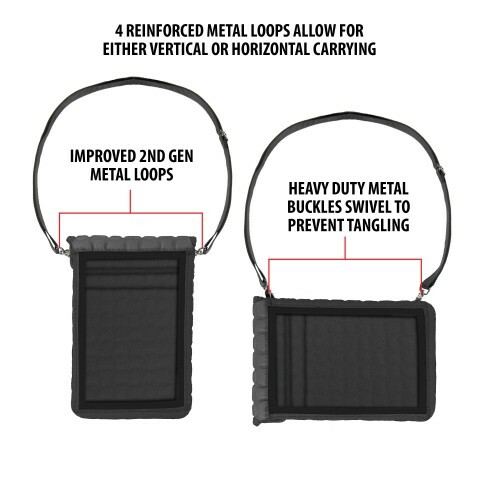 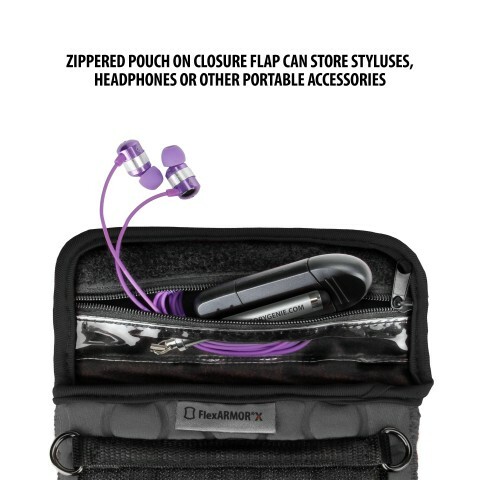 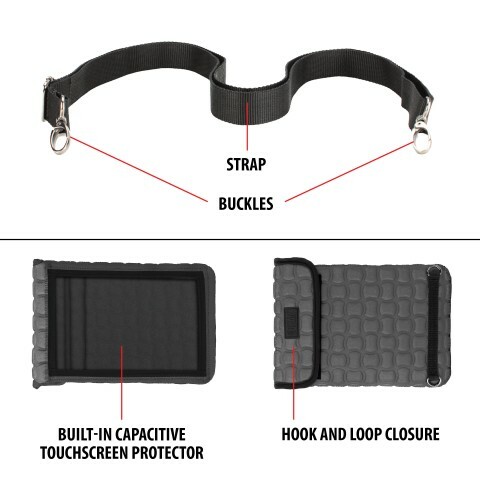 The FlexARMOR X has four strap loops allowing you to carry your tablet in portrait or landscape orientation!